Can anyone help identify this brown colored bug with what looks like \"claws\" on the sides and \"double-ended tail\"? 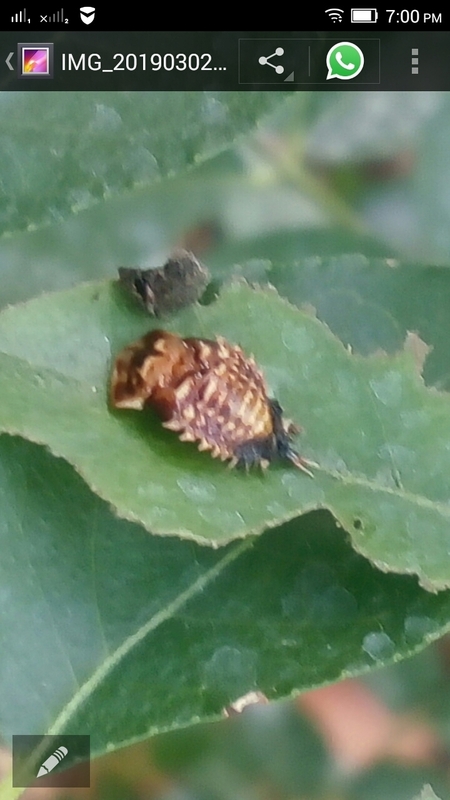 Several of these are on my curry leaf plant. Sorry if pic not clear, don\'t have good cam. Tks!